TORONTO – A growing Muslim community in Canada has led to swelling sales of halal food, which has some grocers, manufacturers and eateries seeking ways to profit from the boom. “It’s a huge business. It’s an $80-billion business around the world. In Canada, it’s about $1 billion and it’s growing … by 10 to 15 per cent a year, which is quite significant. It’s much more than other categories,” says Sylvain Charlebois, a professor in food distribution and policy at Dalhousie University in Halifax. Halal means permissible in Arabic and refers to foods that have been prepared according to Islamic law. Animals must not suffer when they’re slaughtered and must not see another animal be killed. Pork and its byproducts and alcohol are among forbidden items not allowed in the making of halal foods. 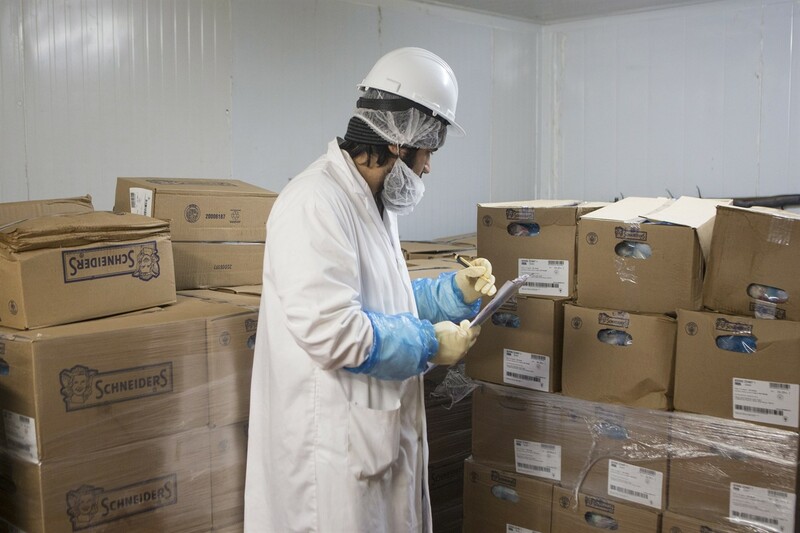 While Canadians are increasingly seeing more halal products stocked by the big supermarket chains, the complexity of the supply chain has led to concerns about mislabelled food or fraud. Contamination and traceability were motivating factors for the formation of the Halal Monitoring Authority of Canada, says chief operating officer Imam Omar Subedar. A presentation on malpractices in the halal industry he attended in 2004 was eye-opening. The HMA launched in 2006 with one certified chicken product. Now there are hundreds, with 30 inspectors in Ontario, three in Alberta, two in Quebec and a representative in B.C. There are plans to start operations in Saskatchewan. The Canadian Food Inspection Agency approved guidelines for halal products just last year. “Halal unfortunately has been heavily abused and this is why CFIA has gotten involved, which is unprecedented. The government doesn’t get involved in religion, but for halal they did because of the malpractices that had been going on,” says Subedar. Salima Jivraj, an on-the-go mom who founded Halal Food Festival Toronto in 2012 and runs the website Halalfoodie.ca, says the mainstream availability of halal products now means she can avoid multiple stops at independent shops during her weekly shopping trip. Sobeys Inc. launched the store Chalo FreshCo in 2015 in Brampton, Ont., with separate halal and non-halal meat counters and an assortment of rice, spices, lentils and snacks for South Asian customers. Loblaw Companies Ltd. has launched its own halal brand, Sufra, and also sells other brands of halal chicken, beef, lamb, yogurt, turkey and gummy candies. Jivraj suggests a lot of Muslims unknowingly eat non-halal products. “Immigrants come to the country and they might not necessarily know that they have to look out for halal. Coming from countries that are 100 per cent halal, it might be a new concept for them,” says Jivraj. Reading labels doesn’t always tell the entire story. Candies, yogurt, jellies, baked goods and pharmaceutical products may contain gelatin, which can be derived from pork. Animal shortening such as lard and brewer’s yeast are not halal. Vanilla extract flavouring contains alcohol. “There’s going to be more and more demand being driven for things like bakeries, confectionery, dairy including cheeses because a lot of animal byproducts are found in all sorts of categories in grocery and the consumers are realizing this as well and they’re being more vigilant in the products that they buy,” says Jivraj. Meanwhile, big fast-food chains like Pizza Pizza, KFC, Popeyes and Nandos have added halal options to their menus, while The Halal Guys, a fast-casual franchise that started as a food cart in Manhattan with huge lineups, is opening a Toronto location on May 5. “If there is more food offered to consumers they will buy more essentially,” says Charlebois of the rise in halal offerings.